Там написано что из научной работы 2015 года это данные,поэтому это другой кабардинец . "График" рисую я по данным от координатора проекта J2a-L24 Al Aburto. Да, спасибо, Людмила. Он связался со мной. Вот что он написал, кому интересно. I have analyzed your BigY "Novel Variants" file and determined your unique set of BigY personal SNPs. By "personal SNPs" I mean those Y-SNPs that are unique to your most recent paternal ancestry. I found 14 BigY personal SNPs for you. I gave them Z-SNP names (Z45299 --> Z45312) and posted them to the YBrowse website (http://ybrowse.org/gb2/gbrowse/chrY/?). To see more information on a SNP just type in (for example) Z45299 in the YBrowse landmark or region search box. If you click on the yellow band a window will pop up giving more details of the SNP. The 14 SNPs indicate an elapsed time period of approximately 1700 years. So your oldest SNP occurred sometime around 320 CE and your most recent SNP sometime within your last 4 generations. Your results are shown in the attached excel file. You are in column "V" and your personal SNPs are shown in rows 321 --> 334. If a SNP is marked in green then you carry that mutation. If it is marked in yellow you do not have that mutation. 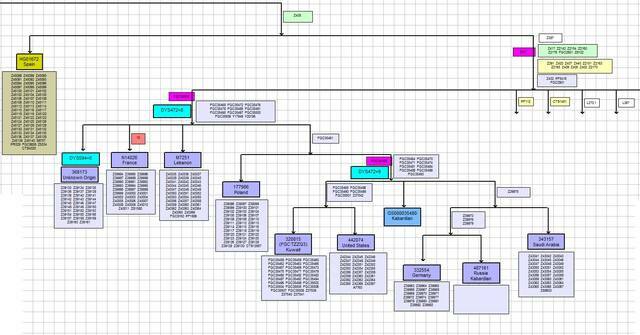 The second attachment shows where you fit in our J2a-FGC35503/FGC35461 genetic tree. Your kit number is shown on the lower right side of the chart. We'll fill in your SNPs soon. One thing that will be most helpful to our research, to confirm the location of SNPs, would be a link to your BigY BAM file. If ok, please email me a link to your BigY BAM file.